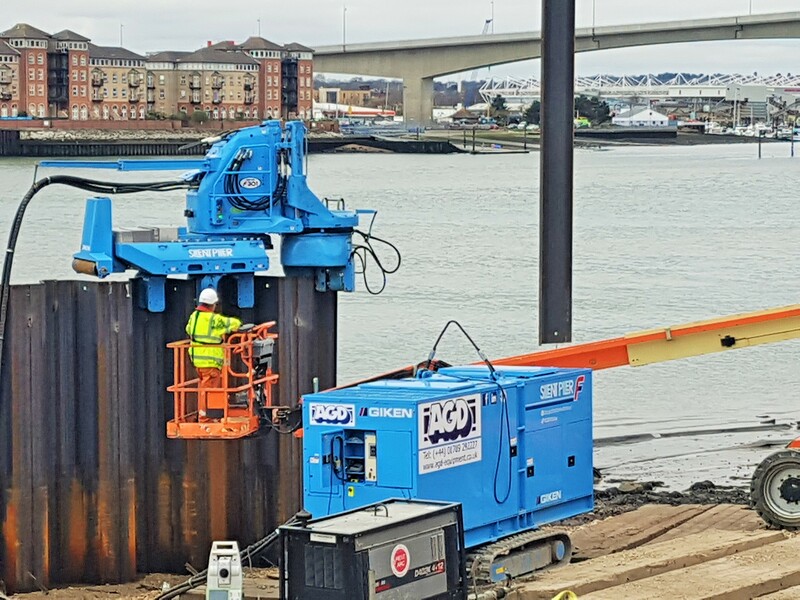 One of our Giken F301 silent pilers is installing an egg shaped cofferdam as part of a development scheme along the banks of the river Itchen in Southampton, Hampshire. The 14.5 m long AZ42 sheet piles have been installed for Knights Brown and their Bid Manager Nick Gibb commented "It's great to have a project where we have the opportunity to use the Giken silent piler, this provided so many advantages over traditional piling, not least the complex temporary works we would have needed to accommodate the oval shape". Do you have silent piling requirements? Hard soils, odd shaped cofferdams, restricted access. No matter how difficult the challenge. AGD and our skilled operators have the solution.